Do you have plans? Conveniently order your taxi in advance and benefit from punctual, hassle-free collection on your doorstep. Convenient sightseeing? No problem! 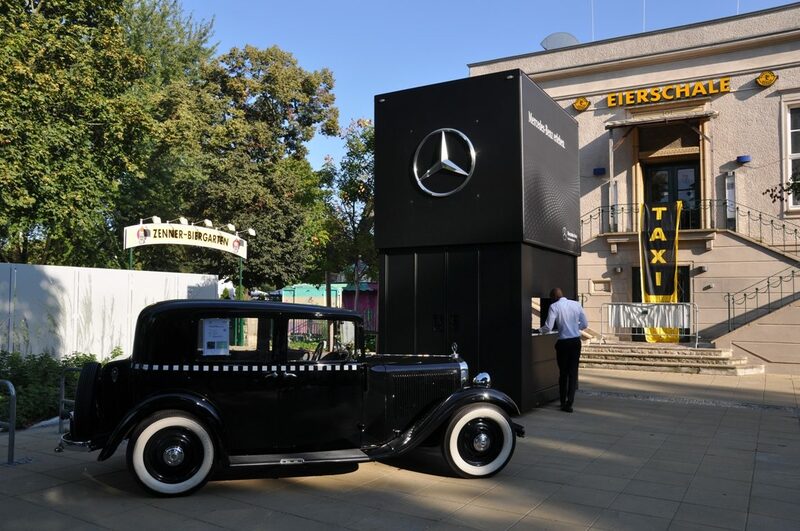 Our genuine Berlin taxi drivers will show you Germany’s capital as you’ve never seen it before. What are you waiting for? If you are unable to safely get you and your vehicle back home, we’ll be happy to do it for you. As a full-service taxi firm, we not only transport passengers but also goods of all kinds – quickly, reliably and discreetly. We can of course serve destinations outside Berlin. Please speak to the driver about the distance and cost before the journey starts. If you are in a group, we can take you all to your destination in one of our six- to eight-person taxis. Simply let us know when placing your order. For our disabled passengers, we offer wheelchair-accessible vehicles combined with an outstanding service. Simply inform us of your requirements when ordering. If you need a taxi for health reasons, you don’t need to worry about paying out in advance. Instead, we will settle the invoice directly with your health insurer or social security provider, as long as your doctor has approved travel by taxi. Stuck on the road? On request, we will get your car started again. And you don’t even have to be registered with us. If you order several taxis a day, it’s worth your while to get an automatic taxi-calling system that enables you to order a taxi at the push of a button. Do you need a taxi for your hotel or trade fair guests? We will get your guests to their destination and back – quickly and reliably. Simply use our automatic calling systems. Not only can our business customers pay by credit card, they can also settle up using our taxi cheques. For larger events such as trade fairs, our staff will be happy to coordinate the on-site taxi service, meaning a taxi will be ready and waiting whenever you need it.